Numerous studies show that job stress places a significant weight on most working adults. In Great Britain, the recent labour report stated that in 2014/15, stress accounted for 35% of all work related ill health cases and 43% of all working days lost due to ill health. In 2012, there were 10.4 million days lost to stress, with the cost of ‘sick’ days totalling almost £6.5 billion. According to the American Institute of Stress (AIS), stress carries a hefty price tag for American employers. The annual cost to the industry was an estimated $300 billion as result of accidents, absenteeism, turnover, reduced productivity and direct medical, legal, and insurance costs. This is certainly cause for concern. Rest assured – there are ways we can mitigate the increasing negative impacts of stress in our workplace. Surprisingly, it might be easier than we think. 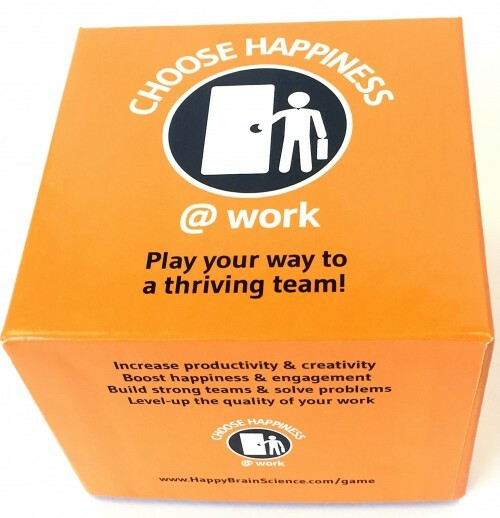 Researchers from the University of Warwick in the UK found that people who are happy at work are about 12% more productive. Shawn Anchor, author of The Happiness Advantage, has quantified the benefits of a happy company – sales increase by 37%, productivity 31%, and accuracy on tasks improves by 19%. And, of course, there’s the overall win of feeling happier as an individual and collectively within a high-performing culture. Start a “Reason of the Week” where you and your team stand up and share why everyone is committed to doing their best work this week. Remind yourself why you do what you do, and for whom. Not only will people come up with innovative ideas – even more meaningfully – when these reasons are shared among peers, it also unifies the team while generating purpose-driven reasons to stay committed to the greater goals. The habit of thanks. Before you close your laptop or sign off for the day, send out a ‘thank you’ email/tweet or text to someone for a job well done. Set a calendar reminder to make this a weekly habit. It only has to a few minutes, but it could make that person’s day. Plus, it offers huge improvements to our well-being. New research states that we experience a rush of endorphins when we do something kind for someone else. Take the next meeting standing up, or walking around. We often think that we’re too far behind on our workload to move from our desk and our work, but the opposite is true. The more we get up and stretch and move, the more productive we are. Research found that creative output increased by an average of 60 percent when the person was walking. (Oppezzo, 2014). Remind yourself of your resilience: To start, describe one low point you’ve experienced at work. Then list two or three reasons why you’re grateful for that experience or describe something positive that’s come out of it. Try to reframe negative experiences this way as often as possible. Memories are powerful. If we reflect on them positively, we’ll feel better in the moment and predict a happier future. We all experience success and failures at work – and some days will be harder than others. While it is crucial to learn and grow from the disappointments, it is equally as important to recognize the accomplishments. Start by practicing gratitude with intention to avoid ruminating on the more challenging aspects of work. In our office at Plasticity, we have one giant wall where we post sticky notes of our gratitude and now the wall is filled with positive thoughts. Reading and re-reading the happy notes of others can be the perfect pick-me-up on those stressed-out days. Get in the habit of putting yourself first at least once (preferably more – but let’s start with once) per day. Take 20 minutes to read something that has no purpose but provides joy. Take five minutes longer to enjoy your coffee without diving into emails. Enjoy a 15-minute nap or quiet time at lunch to reset. Start with small bites of time to give your brain the rest it needs to be productive and innovative and engaged. Emotional control and good leadership come with a well-rested and productive brain. To do that means self-care – something that way too many of us don’t consider as valuable. In my business, that is the most valuable consideration of all.